Notable stations a path between the Ionian and the Messinian coastline! All the following beaches are sandy. On the beaches of Gargalianoi: Golden Sand (MATI), Vromoneri, Lagouvardos, there installation and operation of marine species (Sun umbrella) mode and marine resources of recreational canoeing etc. On the Beach Stomio near Filiatra – meet there all the youth, there is a canteen- bar and sun loungers with parasols . In Lagouvardos (an emerald beach blonde, golden sand is spread over an area of ​​2 km), encounter huge waves that often “decorate” their tops adventurous surfers and even winter weather. This beach is one of the few in Greece (there and Kolybithra Tinos, Ligia Parga, the Mesachti in Icaria) where wave riders find their paradise. But generally, the beach is a summer paradise. 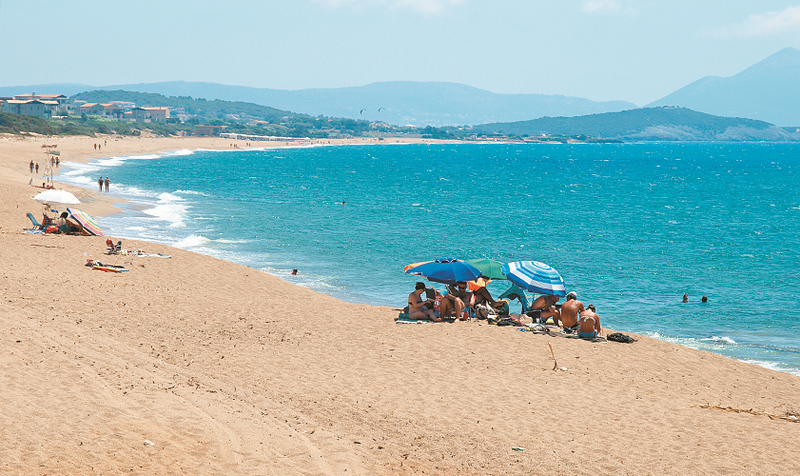 The Romanos beach located in the village and near the large hotels Costa Navarino. From the Stomio, progressing meet South Agia Kyriaki, the Lagouvardos, the Marathos, seeing the island Proti (First), Vromoneri, Golden Sand (Mati), the Buka, the Glyfadaki, Romanos Petrohori, Voidokoilia, the Gold Coast….